Assisted Opening Takedown Tech Folding Pocket Knife Black | BUDK.com - Knives & Swords At The Lowest Prices! 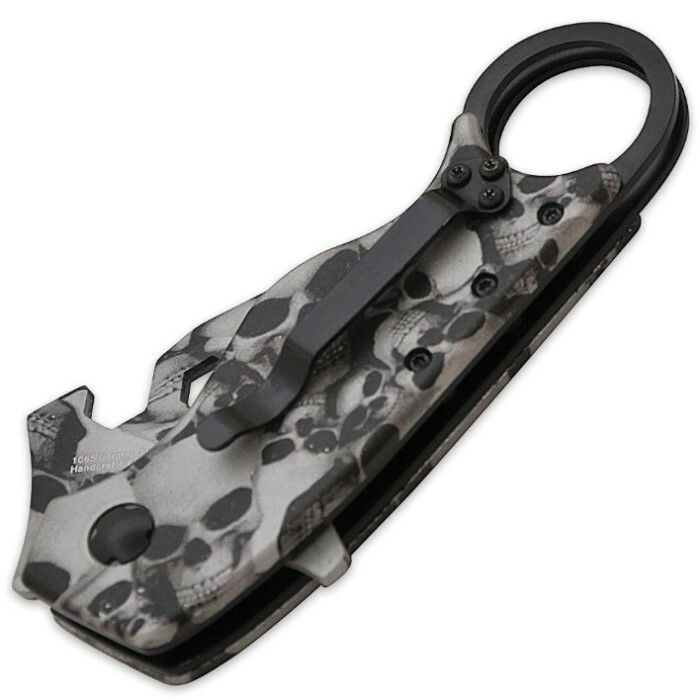 This new Takedown Tech folding assisted-opening folding pocket knife will astonish you with its innovative design. Reminiscent of a karambit, this knife has a curved appearance complete with a thumb hole and pocket clip like a karambit, but offers the compact size of a folding pocket knife. The partially serrated blade is crafted of 1065 German surgical steel with a built-in wrench feature. 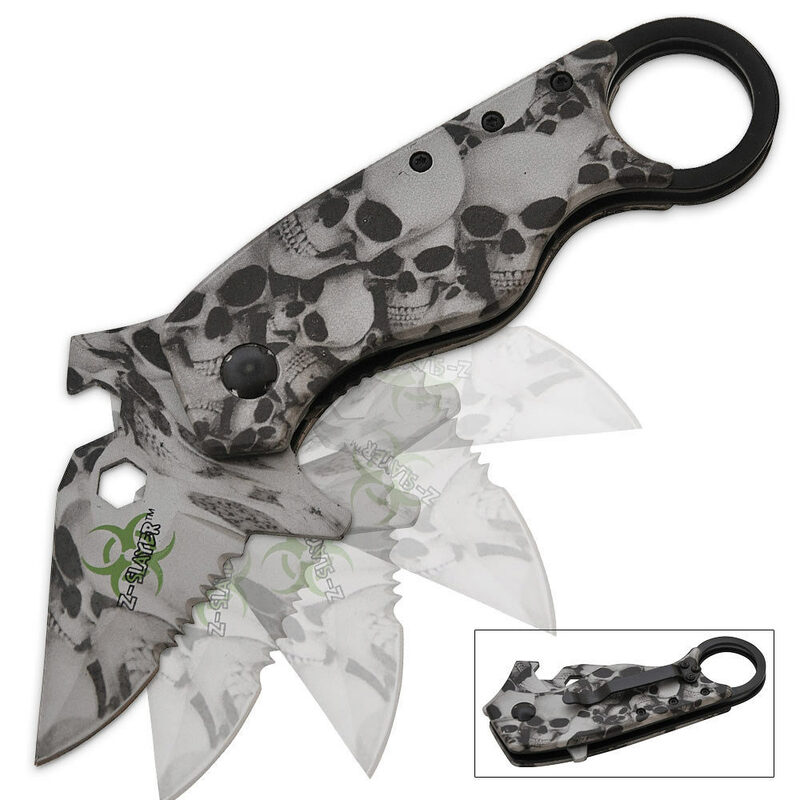 The entire knife is covered in an eye-catching skull camo pattern.